Read this and more in our December Newsletter. Register here for our monthly newsletter. Celebrating its 17th year in Phuket, Thailand and continuing to draw stunning sail and motor superyachts from the far corners of the globe, the Asia Superyacht Rendezvous Cup (ASR), to be held 19-21 January 2018, at the Sala Spa & Resort Phuket, has announced the spectacular sailing superyacht, La Numero Uno, as the "Opening Night Party Host". Organisers are thrilled the annual ASR Cup will be kicking off from 19-21 January 2018 event with the opening night cocktail party aboard the beautiful La Numero Uno (Ex Clan VI) luxury yacht, a 131ft sailing yacht and the first Perini Navi to be built. The exclusive gathering of sail and motor superyachts is an event of charming Thai hospitality in a relaxed and sociable environment on and off the water. Long-time ASR Cup organiser Gordon Fernandes said, "We are very excited that La Numero Uno will to be the host yacht for this year’s Rendezvous Cup opening night cocktail party. She is the first yacht to be constructed at the Italian high-class shipyard Perini Navi, which became world-famous for its élite superyachts, such as The Maltese Falcon." The luxury yacht was completely refitted in 2014 and can accommodate 12 guests in five comfortable cabins. She has entered the twenty-first century with the most advanced technology, accommodations and toys required by the most discerning sailors. When she was launched La Numero Uno was also the first fully automated superyacht ever fitted with a ballasted swing keel that retracts into a shallow fixed keel and is raised by an electric winch. True to form, she has circumnavigated the globe and merges innovative design, cutting-edge technology and graceful lines to provide a world-class sailing experience. 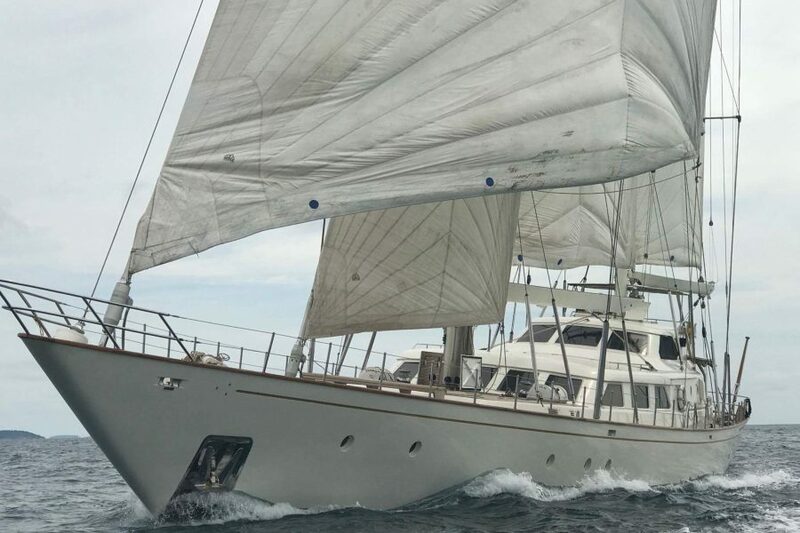 She has been restored to immaculate, stylish elegance and this exceptional yacht offers invited guests an unrivalled experience at the opening night party and an opportunity to view La Numero Uno in all of her glory while at anchor. "Unlike other superyacht events and regattas, the ASR Cup is a very private gathering and all about having a jolly, fun atmosphere where participation is encouraged, but not required – where it is about having a great time and putting the sails up in hopes of winning the ASR Cup! ", concluded organiser Fernandes. Read more about the ASR Cup at asia-superyacht-rendezvous.com.